A simple twist to an already loved classic cocktail, the manhattan. 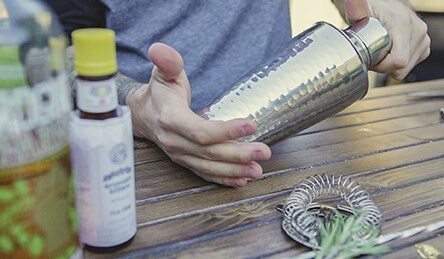 The rosemary and fruitwood pellet smoke add great compliments to the rye whiskey flavors. 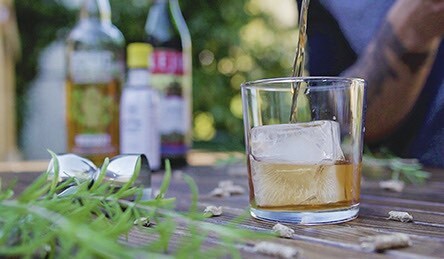 This drink is a perfect start to a night of barbecue with your friends and family. Start with a small handful of fruitwood pellets and rosemary leaves in a pile on top of a wooden plank. 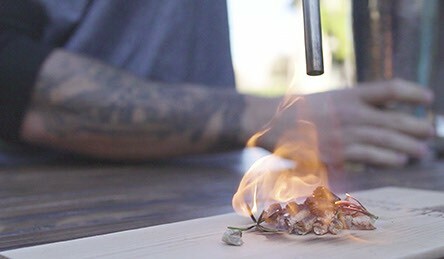 Use a torch to get these fired up and place a mixing glass on top of the flame to capture the smoke for 2-3 minutes. While the mixing cup is filling with smoke, in a separate glass start measuring out 1 oz sweet vermouth, 2 dashes of Angostura bitters, and 2 oz of a good rye whiskey. Quickly mix those ingredients into the smoked mixing glass and close down the top. Instead of shaking the whiskey mixture, roll it many times to infuse the smoke. Pop the top and add some crushed ice into the glass and spin for about 30 seconds. 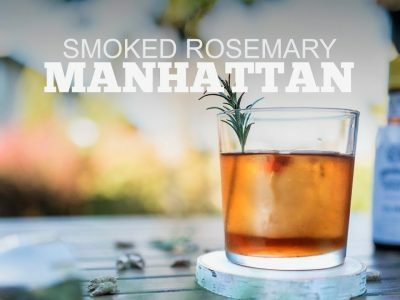 Pour the manhattan onto a large ice cube and serve with a rosemary sprig garnish.